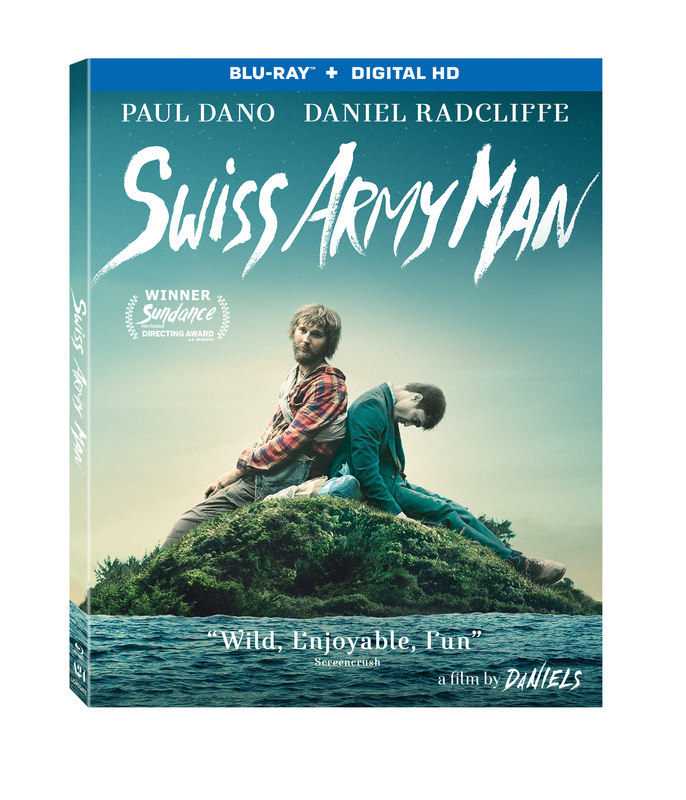 ‘Swiss Army Man’ Coming To Blu-ray & DVD!!! Lionsgate releases ‘Swiss Army Man‘ starring Daniel Radcliffe, Paul Dano, Mary Elizabeth Winstead and Antonia Ribero under the direction of Dan Kwan and Daniel Scheinert known as the Daniels. It hit theaters on the first of July and is coming to home video options DVD and Blu-ray October 4th. Hank (Dano) is stranded on a deserted island, having given up all hope of ever making it home again. But one day everything changes when a corpse named Manny (Radcliffe) washes up onshore. The two become fast friends, and ultimately go on an epic adventure that will bring Hank back to the woman of his dreams. This entry was posted on Thursday, August 18th, 2016 at 1:26 pm	and is filed under Film, News. You can follow any responses to this entry through the RSS 2.0 feed. You can skip to the end and leave a response. Pinging is currently not allowed. « I’m Prepared for the ‘Arrival’!